Give your look some style stripes with this crop top. 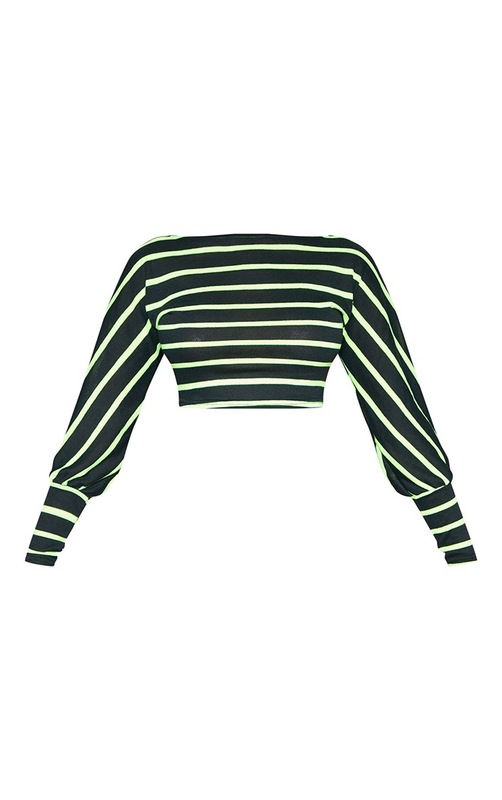 Featuring a black knit material with a neon green striped design, long sleeves and a cropped length. Team this with jeans and some statement heels for a look we are loving.